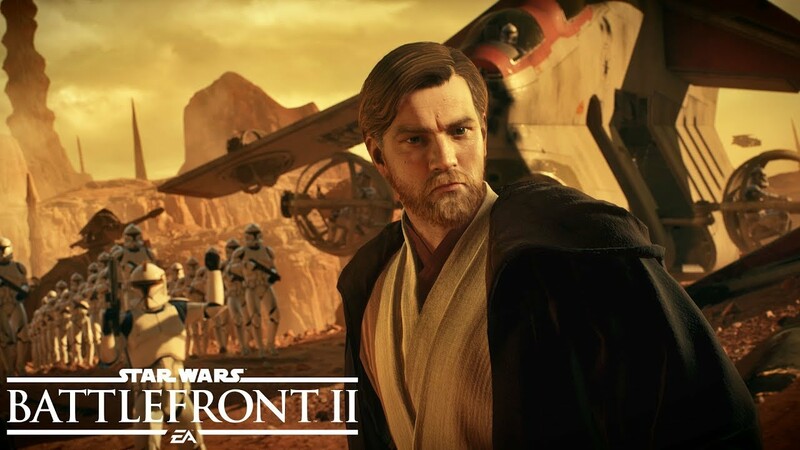 STAR WARS Battlefront II, released by DICE in November 2017, is now included with the EA Access subscription on Xbox One. It joins games like the whole Battlefield series (except Battlefield V, of course), the whole Mass Effect and Dragon Age series, the whole Dead Space series, the Mirror’s Edge games, the Titanfall games, the Plants vs Zombies: Garden Warfare games, The Sims 4, and of course sports titles like FIFA, NHL, NBA Live, Madden NFL, EA Sports UFC 1 and 2, EA Sports Rory McIlroy PGA Tour. It’s certainly the perfect time to try STAR WARS Battlefront II if you haven’t already. The developers have now released the Battle of Geonosis update, which adds to the game fan-favorite Jedi Master Obi-Wan Kenobi and more content. As a reminder, EA Access costs $4.99/month or $29.99/year. Enduring punishment unimaginable to any organic being, General Grievous pursued the obliteration his enemies whatever the cost. Frequently broken beyond repair, Grievous’s cybernetics were easily replaced but his conquests would stand the test of time.